There are certain vegetables I depend on to save me in a pinch. Because my favorite way to cook is to combine whatever I have in my refrigerator and pantry, I am vulnerable to what remains fresh. But when my cauliflower has the measles and my arugula has gone funky, who is always there to save me? Fennel. You might even hear my audible “YAY” and clapping hands as I gratefully seize that proud perennial. It’s ability to withstand patient periods in my crisper, awaiting its heroic role, makes me so grateful. Perhaps it is not a coincidence that the Greek name for fennel is marathon — thus how long it remains fresh. 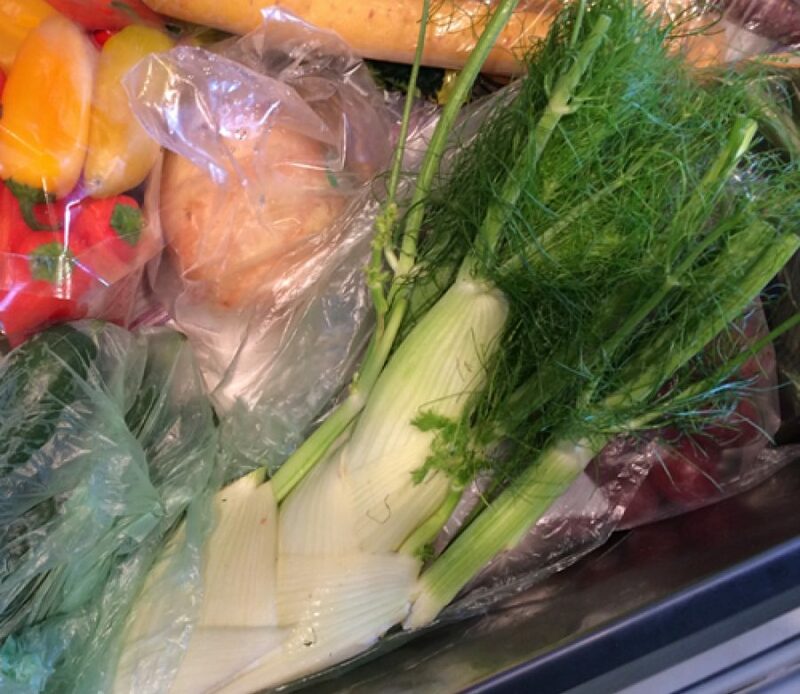 Of the flora in my refrigerator, exotic fennel is a welcome invitee. It’s like having a vegetable with an entrancing Mediterranean accent and avant-garde mohawk hairdo lending intrigue to my mundane menu. Fennel’s flavors of celery, anise and licorice are a delicious addition to any recipe. Shave it, saute it, roast it or grill it. No matter what you do, it makes everything you create taste like some extravagant dish discovered abroad. Try Chef Jeremy’s Fennel Mussels recipe in this month’s “Fennel: A Love-Hate Relationship” blog and you’ll see what I mean. Although fennel is savory lending itself well to onions and other vegetables, it also has a sweetness that plays well with such things as apples and oranges. The possible combinations are endless. So load up your larder with some fennel and give this hero a try, or come to Salty’s and let our chefs tantalize you with their Fennel Steamed Penn Cove Mussels with Parmesan Frites served from October 9 to 15 only.